1. Pray a lot – there is a spiritual battle going on and the enemy wants to keep people distracted from the truth of the gospel. In the busy world of Christmas service planning, he can also keep preachers distracted from the wonder of the gospel too! 2. 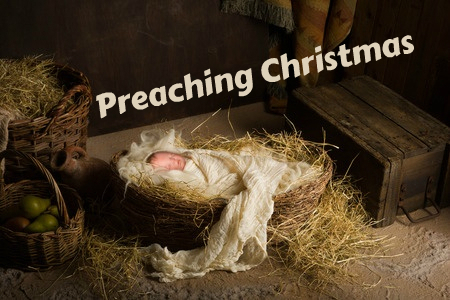 Preach fact – the Christmas message is not, as most tend to think, another holiday season fairy tale and religious myth. Luke launched his gospel with a declaration of the trustworthiness of his message, let’s take a leaf out of his book. Look for ways to make it clear that there was an original Christmas. 3. Correct carefully – nobody likes a cavalier critique of comfortable traditions, so be careful when you point out that Jesus was not born in a cattle shed, or that Mary wasn’t timing contractions as she arrived in Bethlehem, or that the Wise Men actually arrived months later. One of these “facts” is probably wrong, but even truth can be unhelpful if people think you are just being critical, or there is no benefit in the clarification you bring. 4. Celebrate sensitively – it is easy to hype up Christmas like a children’s TV presenter, but for many people it is a bittersweet season. Be sure to take a moment in the message, or in a prayer, to recognize the difficulties as well as the joys. 5. Proclaim good news – yes, Christmas is a season of giving and cheer and peace. Yes, this is a good year to mention the famous Christmas truce of 1914. But remember that Christmas is not about stirring sentimentality and periodic pauses for peace, it is ultimately about something on the vertical plane and not just the horizontal. Jesus came to us to bring us to God. Don’t preach just a nice message, be sure to preach the best news! 6. Undermine assumptions – as well as communicating the gospel message in some way, remember that there is also an opportunity to undermine some common assumptions. Making clear that there is a historical reality to the Incarnation is a good idea, and why not take the chance to clarify the nature of God’s character too? Everyone comes into church thinking they know what God is like. If they don’t really know Jesus, then they don’t. Christmas is a great moment to point people not to speculations about the Majesty of God, but to bring them to the manger to meet the One who makes God known to us. 7. Worship personally – if the Christmas message has grown old for you, then you can’t preach it well. Take some time out with your God and let Him stir your heart afresh. Then you can preach Christmas.